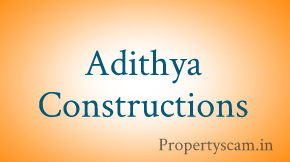 Adithya Constructions one of the real estate companies in the country started their operation in the industry of construction in 2003. Today, they are leading realtor who has completed successfully several projects in and around Bangalore City.The real estate company is organized and managed by a group of skilled and proficient structural engineers, civil engineers, architects, marketing executives, and all consultants and professionals. At present, they have two ongoing residential projects called Desai Orchid located and Beau Monde located in Whitefield Bengaluru and come with all necessity amenities like landscaped gardens, jogging track, swimming pool, a club house, children’s play area, fitness center, and etc. With almost decades of experience in the construction industry, this real estate firm has carved its own niche in the market, and to know more about this company and their projects we request all our users to leave their opinions, feedback, reviews and ratings about Adithya Constructions projects by posting it on our site and sharing the same with other users and property buyers. I am writing this on behalf of all Desai Orchid Residents who are facing lot of issues in the building. This project is of Adithya construction and Mr. Desai Thippa reddy. 1) Construction quality is poor, Cement to sand ratio is poor, Curing of plaster is not done properly, and putty layer is very thin and comes out when you nail the wall. 3) Labours are unskilled, dont know how to work. 4) They collect money to put wall tiles in dry balcony. They collect money for all extra work, even if you ask to do small modifications, even in favor of them (like wall removal before construction). 5) They declared possession in May before having any facilities and Amenities. Collected maintenance money for 6 months and started maintenance without basic facilities. Lifts came in operation at the end of their maintenance period. Swimming pool, Gym, club house was operational exactly after 6 months. Still after 6 months, the promised amenities like RO unit, intercom is not yet provided. 7) Still there are cracks on the wall, there are gaps in window frames, after rain in oct and nov, lots of flats face issue of water seepage on walls and slabs for top floor. There are electrical, plumbing, painting, locks and other hardware issues for individual flats. 8) After 6 months without giving proper amenities and finishing work from his side, builder lifts hand and told people to maintain of their own… This was ridiculous.. After discussion with him he agreed to maintain for 2 more months with elevated maintenance cost and collected upfront. 9) Most and important point is builders supervisor Mr. Murali, He is very rowdy and don’t have any sense to talk to people. in fact anyone from builder don’t respect flat owners and their concerns. I would say Builder is for namesake and just to get money from buyer. He never pay attention to the problems that residents are facing. Builder never visit site and when people meet him, then he will agree to the concerns and do a false promise to complete the work, and which will never be completed. While buying flat his people will talk nicely, but when you buy then you are in their trap and their people will even not listen to you but harass you. 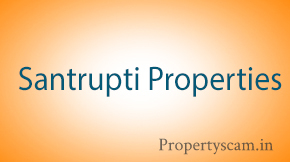 This builder will try to put all your money into pocket and in return you will get frustration, he will make cost cutting in each possible ways, from the quality of construction to possession and maintenance. I will recommend you, not to put your hard-earned money into this builder’s project. We all desai orchids’ residents are facing lots of issues and I want you people not to face the same things. 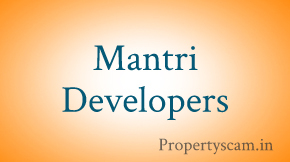 Please meet any owner of this project to know more on the quality and approach of builder. I bought an apartment paying a very high price (Rs 55 L) for 1350 sq ft back in Aug 2012 and I regret my decision. The brochure used for selling the apartment and the final output have no resemblance. The builder has struggled to provide the basic necessities on time and the supervisors are hopeless. I had to struggle with outside electricians/ plumbers/ masons to get fix the problems I had inherited as the supervisors complain they don’t have staff. We have not received Khata/OC even after 1.5 yrs. Certainly a very painful experience so far. I am planning to buy a 3BHK in Sollievo. Can you please share your email id or mobile no? I have booked flat with Aditya construction. All promises made to me were false, and when I inquired about those I got excuse or a rude response every time. There is no authoritative contact to escalate and address issue. I will not recomend Aditya construction to anyone. Hello all, I looked out all the reviews about Adithya Construction . I am a little bit worried about this. I was already booked a flat through this company. Now am thinking, I am in a trap. The project is still in under construction and the quality they are used for the construction are OK. But the main problem is will they provide me all basic amenities what they were promised me at the time of booking? Please help me asap to get rid of this. Hi Gowtham, I’m Rathnakar, I bought a flat in same project which is you booked. I’m getting regular updates about the project status through their team. I visit the project at-least twice in month. There is a construction work is on progress. So be positive we can get out homes along with aminities. Have you never heard about Adithya constructions. They are new to the industry but trust me we got an apartment from it is world class building and they quality is very good the best part of this builder is you can talk him directly and get your issue resolved and price is also very best in the market and you get more carpet when you compare to other builders in the industry you get OC from them and NO DEVIATION. Can you please provide the contact detail of person, so that other can get benefited, I am a customer but non of the issue got ever addressed for me ? This builder is the worst builder, their promises look very rosy but nothing fruitful, but plz dont u put your money with these builders, they will try their best to save money at each possible thing, they can starting from the quality of construction to the possession. everything is so utterly disgusting. Can any one of share the review of Adithya sollievo. Good if you ahve details about the Price and group mail id of the existing owners. Today I visited Adithy’s Pristine. Plan,area looks okay to me. But when I started looking for review of this Builder , it scared me. Now I am in dilemma. Need to think on it. Thanks for the review comments by the members of the forum. Did any one booked and finf any legal issue with land etc. Please share the details. Thanks in advance !!! Hi friends. I have visited an ongoing project called Adithya Pristine KMC . Any body got any idea abut the project . Its the same builder who constructed ADITHYA SOIGNE. After going through the reviews I m really scared now. plz suggest me , wht to do ? I am an existing owner and resident at Adithya Soigne and felt it would be prudent to bring the following to the notice of all prospective & existing buyers. – The builder has been hell bent on saving money and cutting corners everywhere possible – the size and quality of the entrance gate, not installing and switching on the generator backup, putting zero watt bulbs in parking area, stinking STP plant, no allocation of parking slots, no clarity on laying out the road till the gate which he had promised and a lot more. In case you may require more such horrifying details please visit the yahoo group on Adithya Soigne. Hi Sunil, Am thinking of purchasing a 2BHK in Adithya Soigne. But after reading your review on his previous project, am in a doubt now. Can you help me out on this? Can you share your email id to atish.surana@gmail.com. 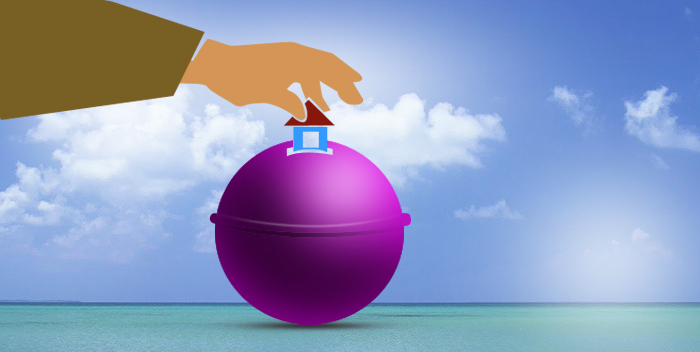 Do you like to share on the khata transfer & occupancy certificate issual for your apartment? hi i too have booked a unit here. so far my interaction has been alright. at legal review of documents stage. Even I am planning to pay a visit to the site tomorrow. It seems they have a couple of other projects. Do update if you have some more information. I am planning to buy a 2.5 bhk in Adithya Sollievo. 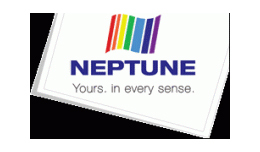 It is located nallurhalli, 1km from the Vaidehi hospital. Can you provide me some feedback on the builder or this project? I heard they have couple of more projects from them, Adithya Elixir and Adithya Bueu Monde. Aditya construction company is costructing deluxe villas in Shaikpet area. Needless to say they are a reputed construction company and have high turnovers. Amidst their rush to increase their sales, they forgot providing the basic sanitation facilities to the workers. , they were kind enough to build restrooms for the workers (at least that was what was conveyed to me). But even today after 2 months since the issue was raised, the workers are using the open land around for their morning rituals. This is a proper residential area. The dirty scene in the morning creates a lot of discomfort to the residents around. Needless to mention about the hygine aspect. When I contacted the Manager again, he informed me that though the restrooms are built, the workers are not using it and since they are contractors, they can mandate them to use it. Now with whom does the responsibilty lie ? Is the company who has taken over the land and allowing the workers to stay there not also responsible to make sure that their deeds dont cause problems to the residents ? we dont have any connection with adithya constructions which was loccated in shaikpet.we dont have any projects in that area.